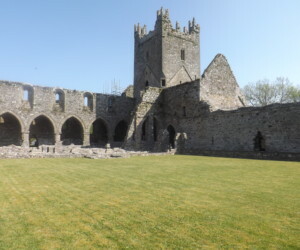 My Ireland Heritage Tours lives up to all of the great reviews you see here and elsewhere. Communication with the staff was top notch from our first inquiry as to their availability. Don’t delay in contacting them to avoid being disappointed that they are already booked up. Our guide, Sean, picked us up at the Dublin Airport and we hit the ground running. Our first stop was the company’s office in Batterstown for an overview of what Sean and Aisling had found about the three families I asked them to research and to explain where we would be going and what we would be seeing over the next 3 and 1/2 days. We covered a lot of ground with Sean including Counties Meath, Galway and Kilkenny. All along the way we heard about the history of the various areas from megalithic times to the present. Sean is a wealth of historical information as well as a certified genealogist up on all the current search techniques. Aisling and Ian are as well. The real beauty of hiring My Ireland Heritage Tours is in all of the local legwork they do before your arrival. 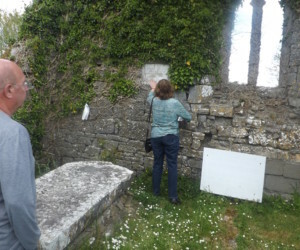 They visit each locale to pinpoint as best they can your local townland, the local parish priests, churches, and cemeteries, and any relatives still residing in the area. This service is invaluable as it saves you so much time that would be otherwise wasted if he was to wait until he took you to the area. I can’t imagine that we would have been able to see as much and speak to as many locals if we had tried to do this on our own. In fact, I know we never would have been able to replicate this trip on our own despite all of my personal research. Sean is a very knowledgeable and personable guide and we were thoroughly satisfied with the service he provided. 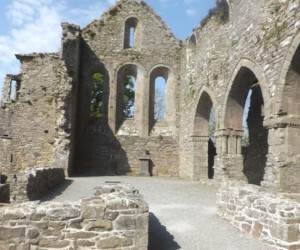 I would highly recommend hiring My Ireland Heritage Tours whether you are searching for your Irish roots or just interested in seeing the historical sights of Ireland. You won’t be disappointed! 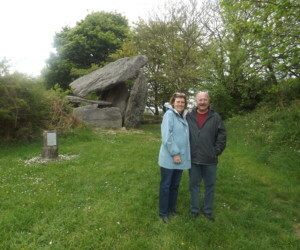 Marcia was able to get a fantastic historical viewpoint by taking a Meath Tour. It was also fantastic to bring her to our consultation at our offices where we brought her through all of the records in great detail for two wonderful Townland experiences.